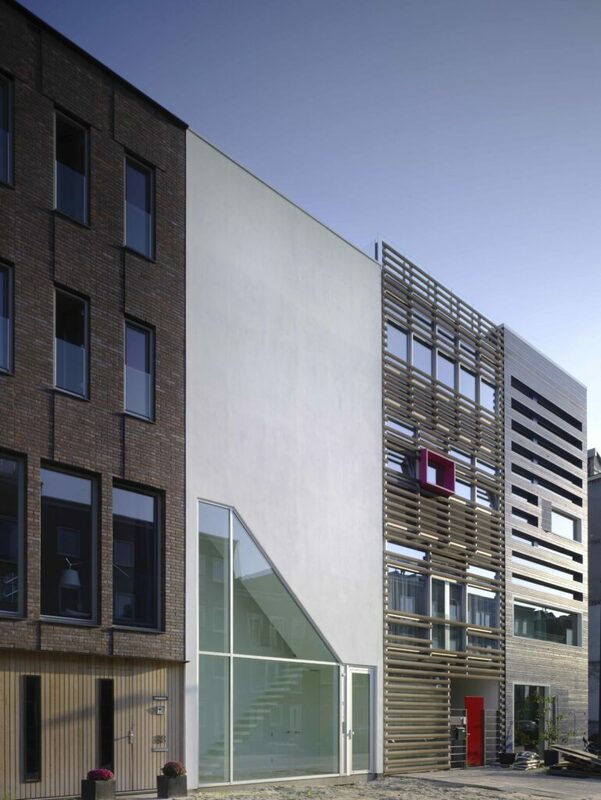 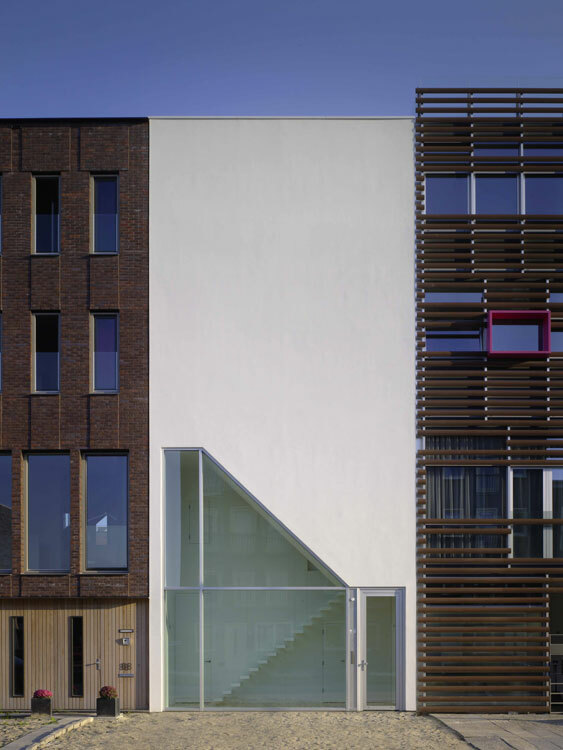 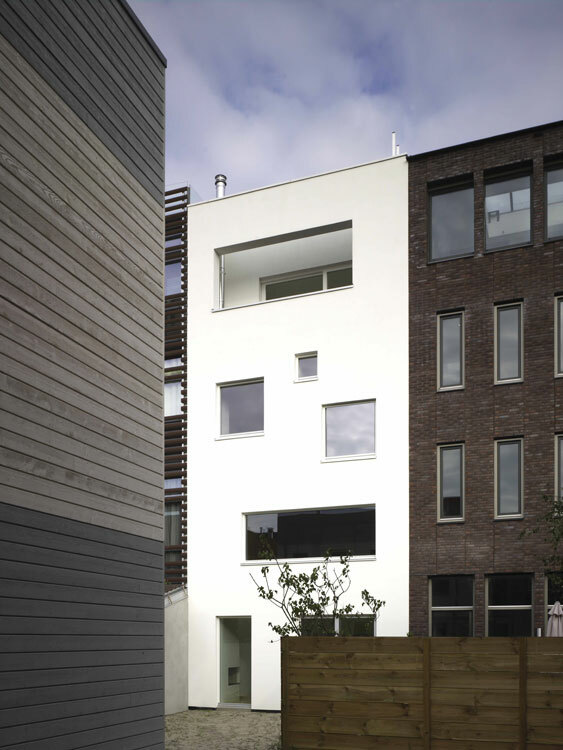 The closed façade offers a “statement” by reacting on its neighbours by contrast. 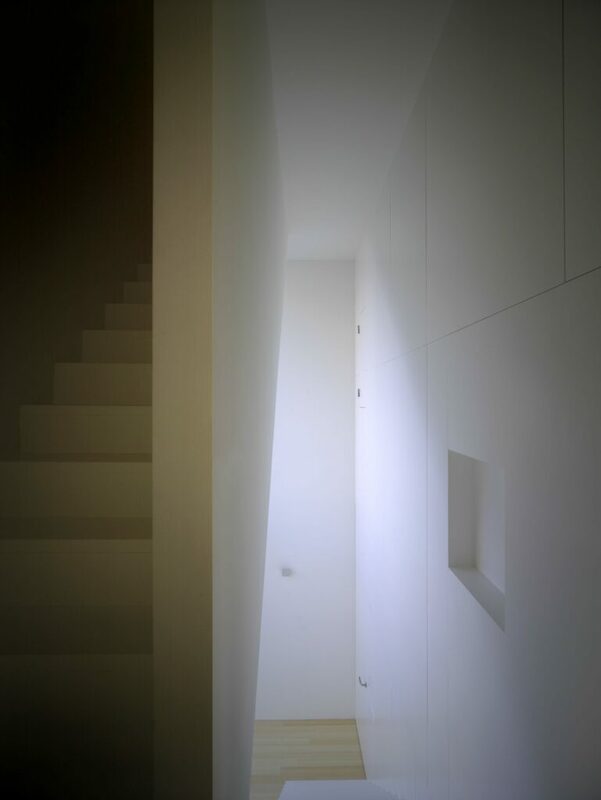 Only on the ground floor is the white volume cut off. 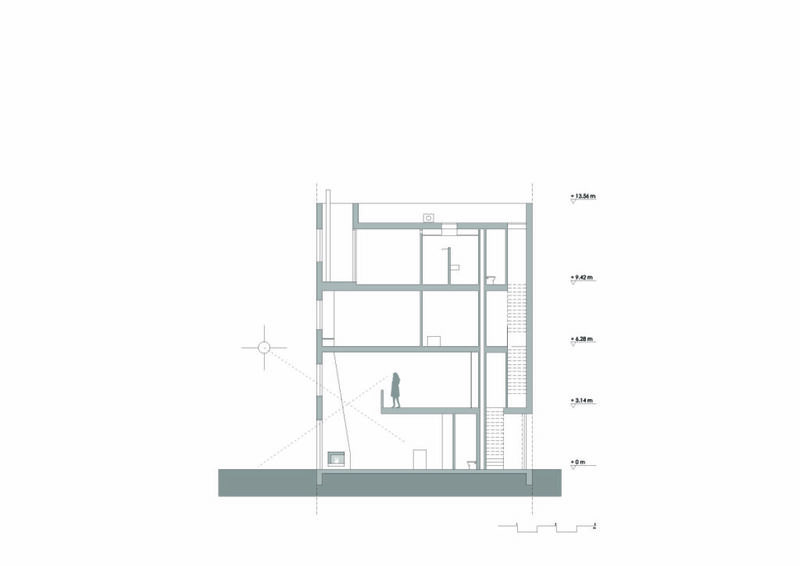 At this point the front facade is pushed backwards, like a scenario, allowing the perception of the stair. 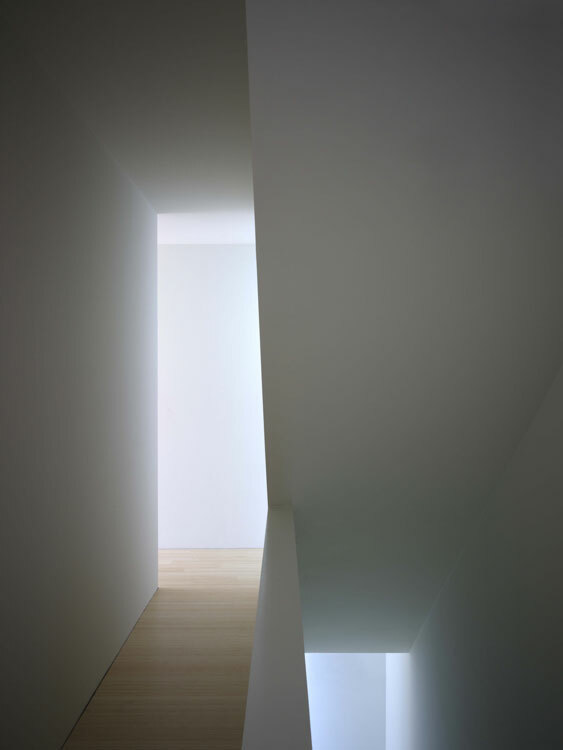 Behind the closed façade a “light-route” is created: after experiencing exposure and light intensity on the ground-floor, the visitor gets on the first-floor the feeling of stepping into an enclosed darker staircase. 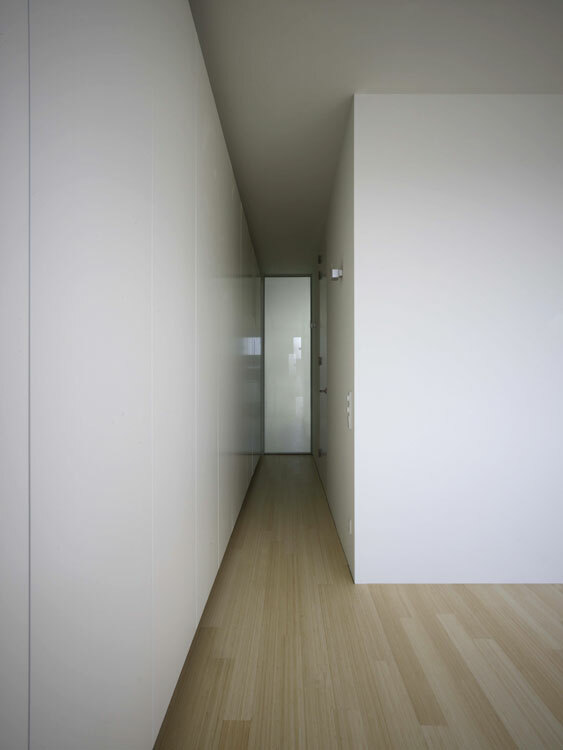 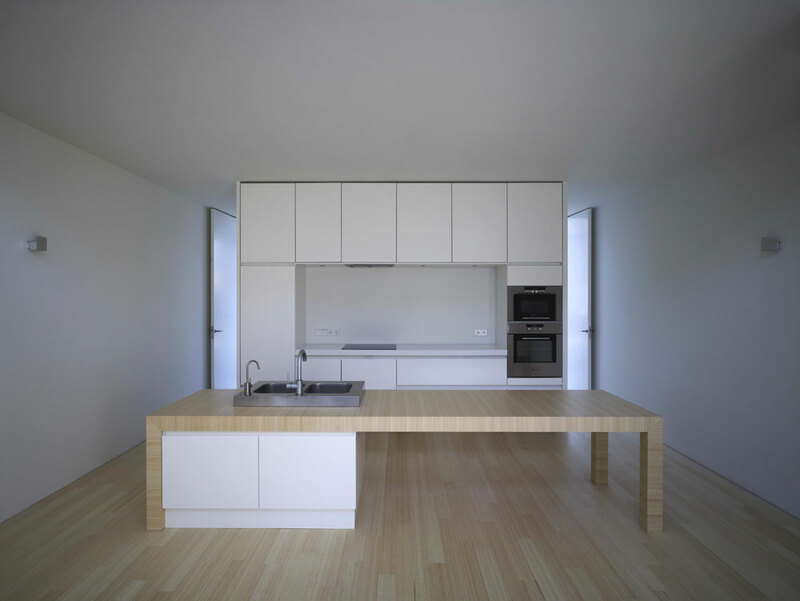 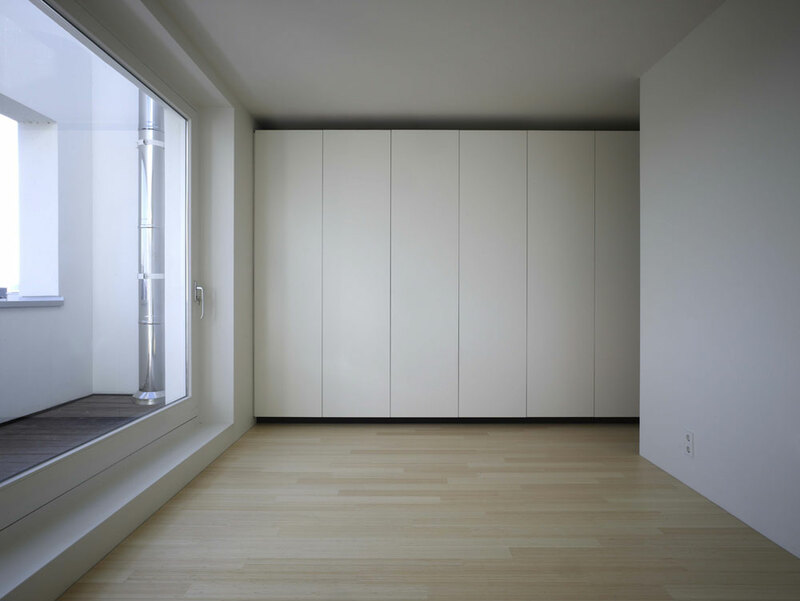 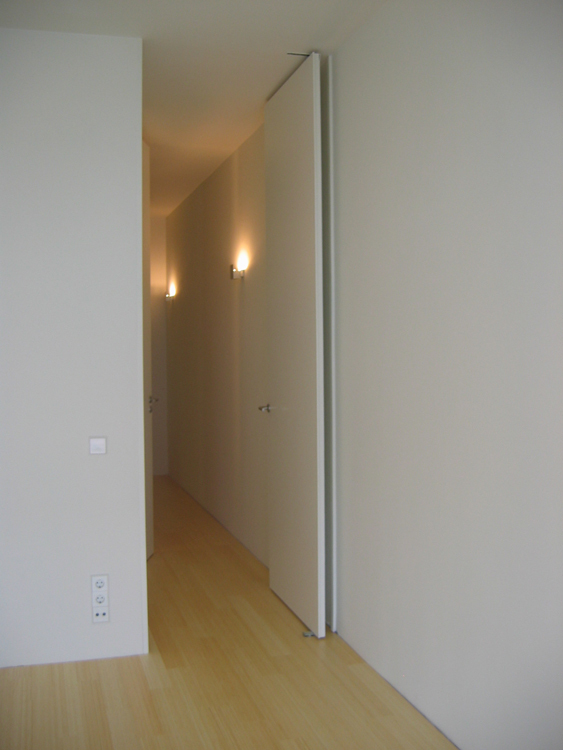 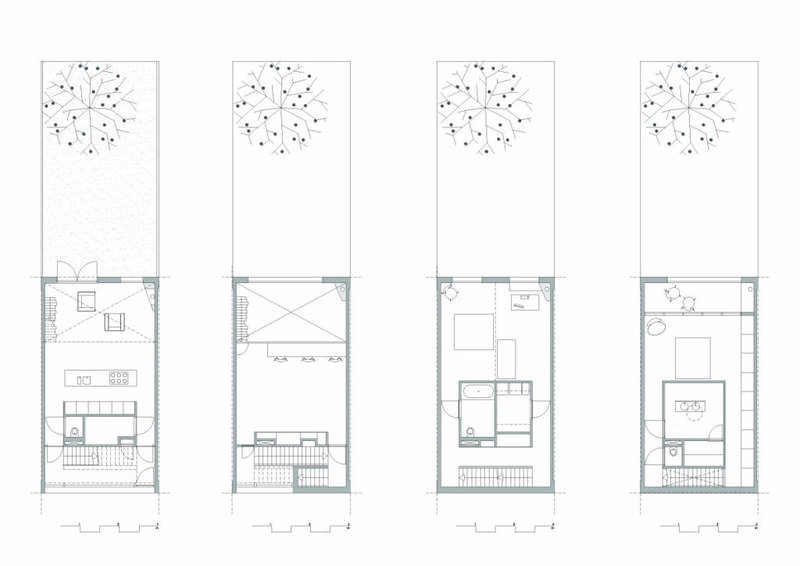 Through its form, which at some points is cut off to allow light penetration, and the contrast between fully open and fully closed, a light-game arises, which floor after floor guides and surprises. 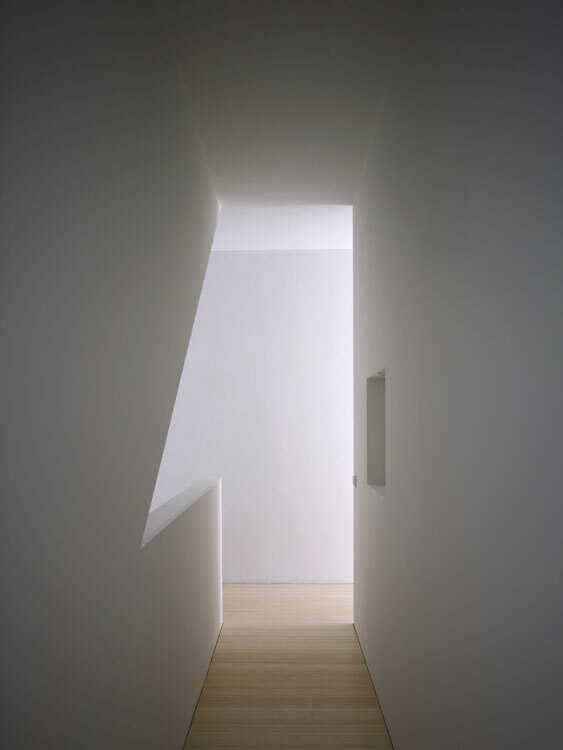 At the end of the route, via one sharp roof opening, the visitor feels again the confrontation with an intensive bath of light. 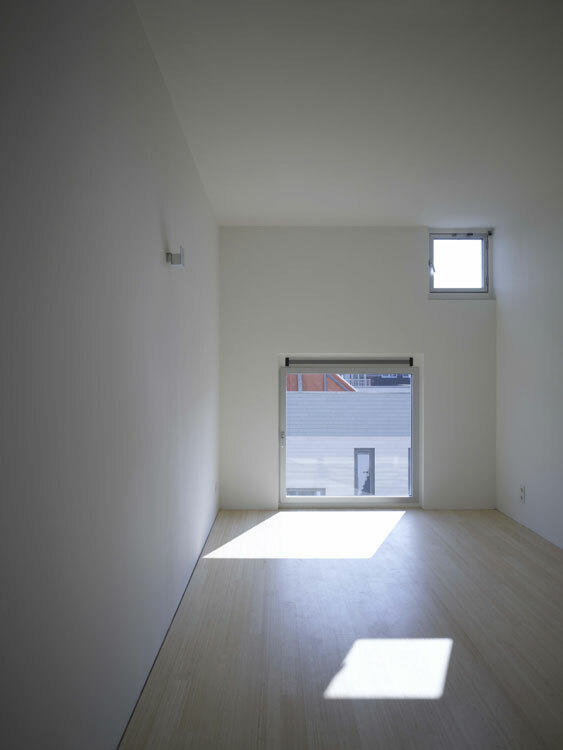 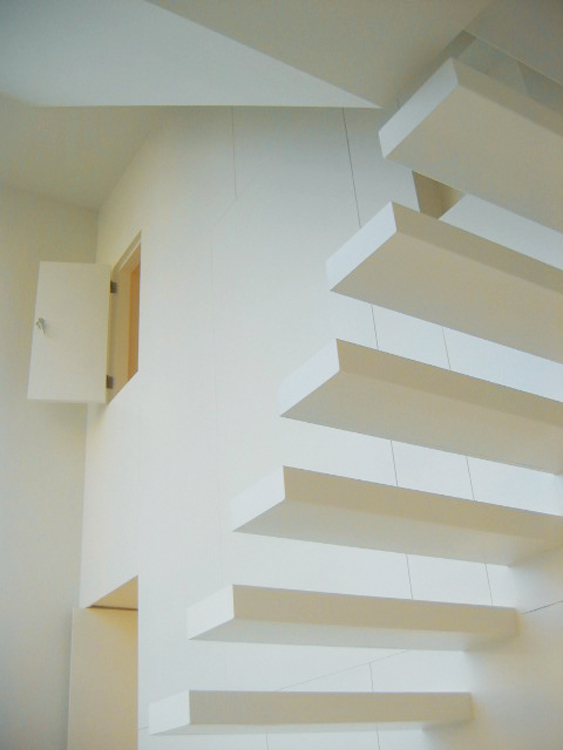 The stair climbs through the whole house next to a facility’s unit which on the ground floor separates the transparent hall from the intimate living room, and in the other floors, the circulation area from the sleeping / working rooms. 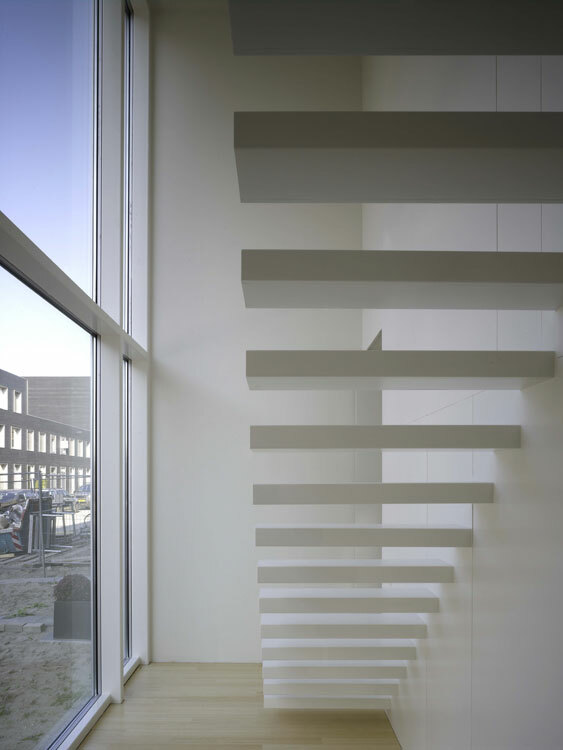 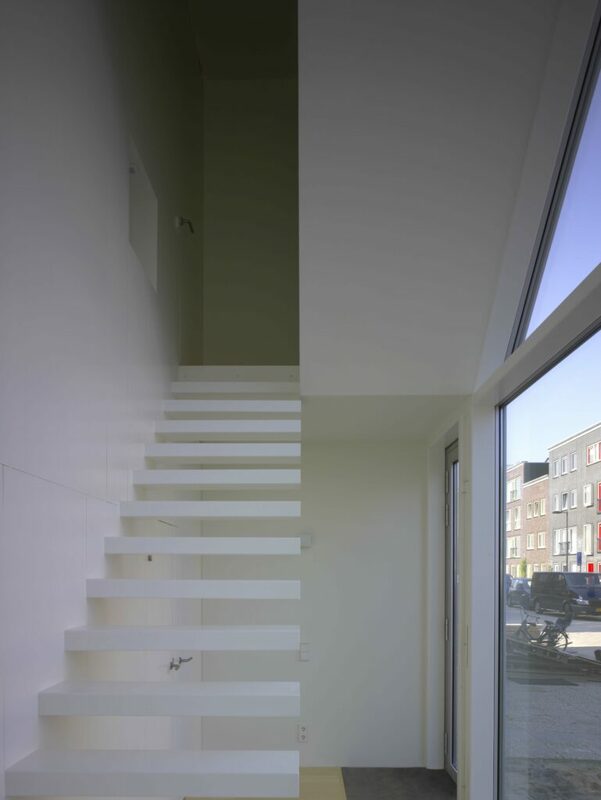 By situating both staircase and facility’s unit directly behind the front façade, these spaces become flexible, less deep and bright. 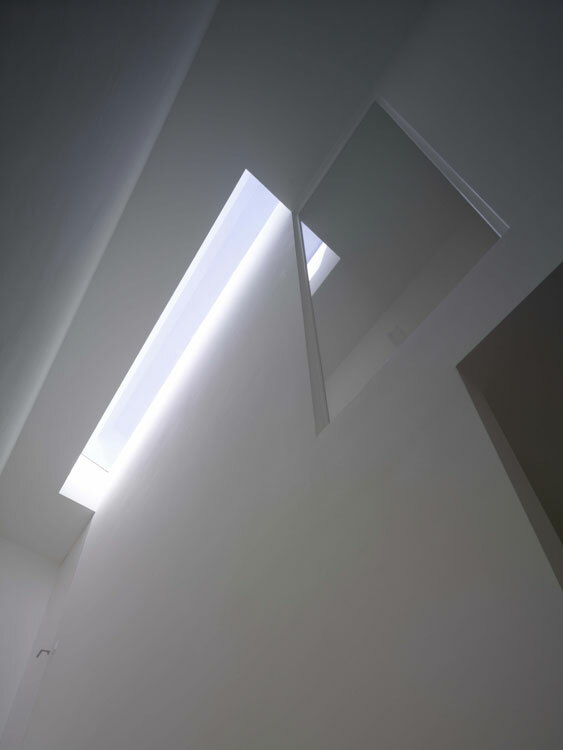 The windows of the back façade which in each room are different in form and size offer to every space a different light quality. 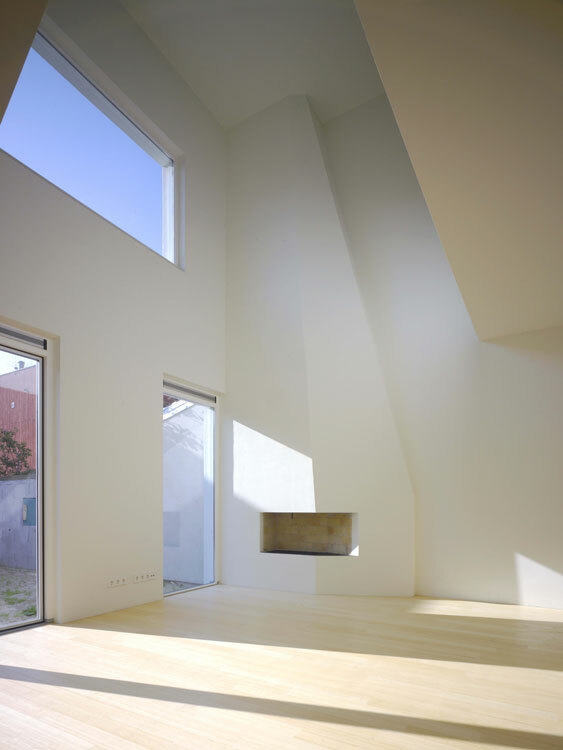 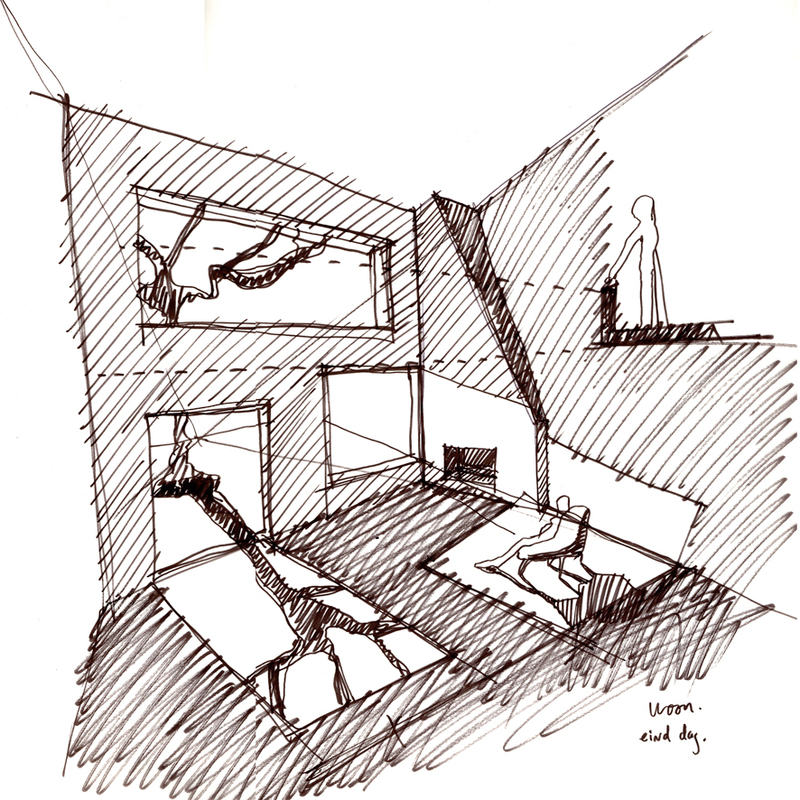 In the void of the living room, the sculptural fire-place connects the ground floor with the first floor. 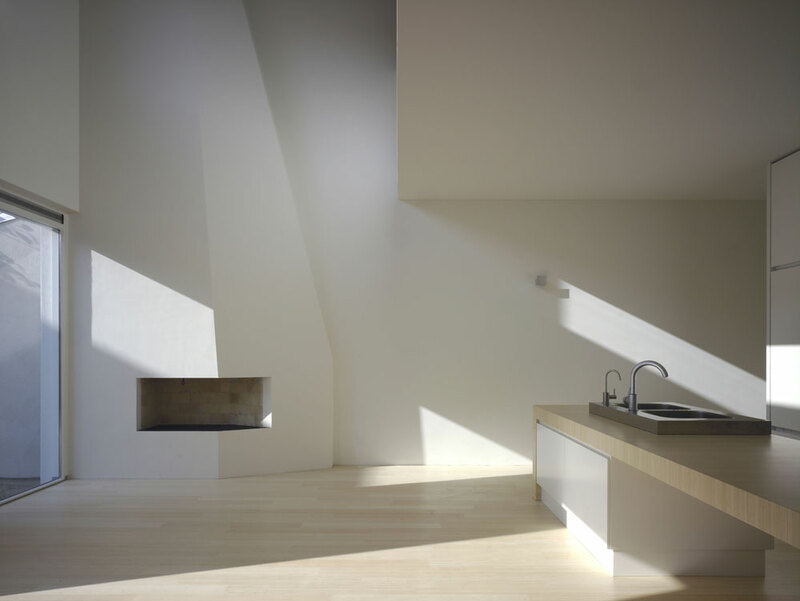 In this way, and embraced by light, one high impressive space is created.